As it’s one of the first things that visitors come across, your front door is worth investing in. An attractive and on-trend front door can make a great first impression to friends and family and make you feel glad to be home. As an outside part of your property, your front door can deteriorate over time. 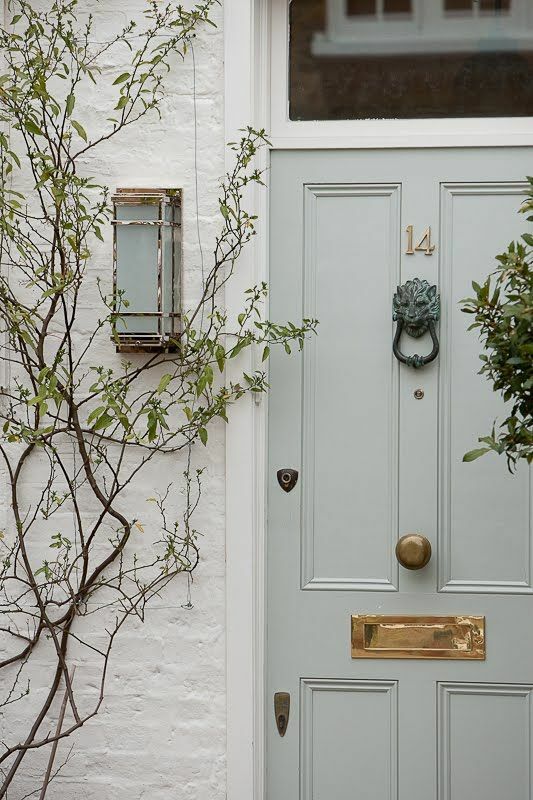 If your door needs some care and attention after a hard winter or you even just fancy a change, read on to find out 5 ways to create a stylish and on-trend front door. One of the easiest ways to spruce up your front door is to repaint it. You can do this yourself or ask a professional to do it for you, whichever you’re happiest with. What may not be so easy, however, is picking which shade to paint it. If you want to go colourful, yellow and blue are the most popular colours this year. 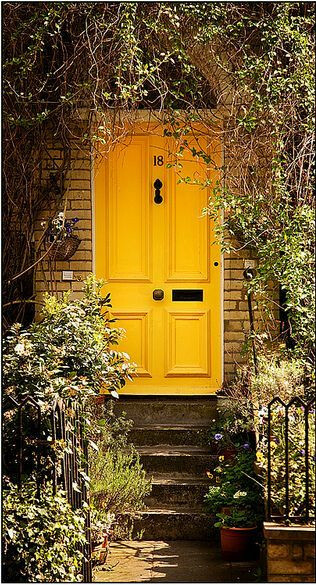 For a front door that stands out, go for a bright yellow or cobalt blue. Or if you want to go for a more subtle approach, pick primrose yellow or duck egg blue. However, if you’d prefer something darker and more traditional, you’ve still got lots of options. Try jet black, steel blue or pine green. Or if you fancy something lighter, go for crisp white. 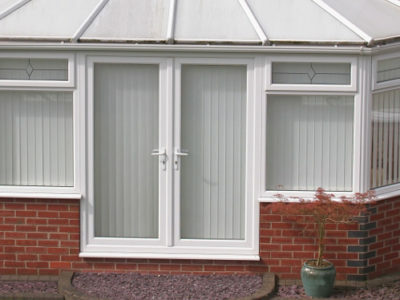 Once you’ve got a new front door shade, try matching it with your garden. Consider which plants are visible on the path up to your front door and try to get your door shade in there somewhere. If you don’t have much of a front outside area or aren’t particularly enthusiastic about gardening, see if you can find some plants to put in hanging baskets or pots next to your door. Coordinating your plants with your door should really bring out the colour in a subtle but attractive way – bringing attention to its stylish new shade. Traditional front doors tend to have little or no glass, and if they have any it’s usually in the upper section of the door. It’s difficult to go wrong with traditional designs; they tend to stay consistently fashionable. 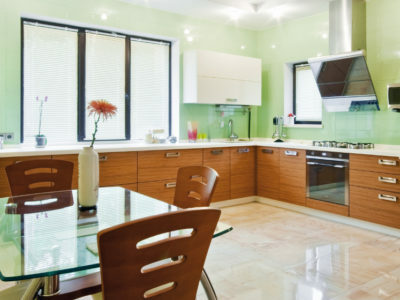 However, if you fancy a change and want something a little more modern, try going for more glass. Light shining through a door that is half or almost completely glass will create a welcoming vibe and an original look. If you want a noticeably on-trend front door it’s a good way to go. In 2017, bigger is better. On-trend front doors are getting taller and wider, making them a major feature and hard to miss. Obviously, following this fashion involves more commitment than others – expanding a doorway will take some building work. Bigger doorways don’t suit every property so it’s a good idea to seek professional design advice before going for it. Another way to spruce up your front door is to invest in new door furniture, like numbers, handles and knockers. Again, going traditional is always a good option but if you want a truly on-trend front door then try to be as creative as you can. Matte metals are a great choice, especially if they contrast with your door colour. Before you start shopping, have a think about what size you need your door furniture to be. New door numbers, handles and knockers can be a very effective way to revamp your door but if they’re out of proportion they can look pretty odd. 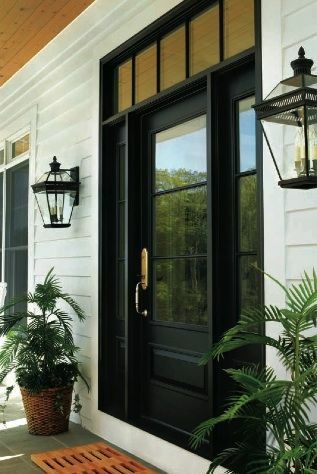 So whether you’re on a tight budget or up for replacing the whole thing, there’s a way to create an on-trend front door. Sprucing up your door is a great way to improve the look of your property and invite visitors into your home.